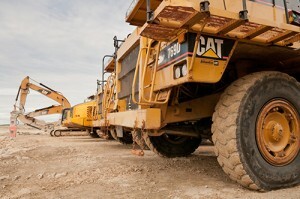 Looking to promote the fuel efficiency their construction equipment, Caterpillar has recently launched a new program that is aimed to put gas money back in the pockets of heavy equipment owners. 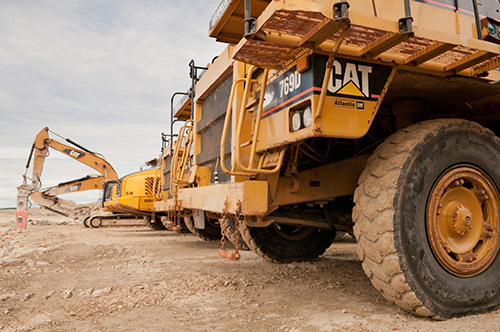 Called “Cat pays you back”, Caterpillar will—for a period of three years or 5,000 service hours— track the actual fuel consumption rate of machines using their Product Link telematics service. At the end of each year, if the fuel burn exceeds the guaranteed rate, owners will get a credit of 1 USD per gallon or 1 CAD per liter. According to an article in Equipment World, this program is part of the company’s new technology strategy in which the dealer becomes a productivity and technology advisor in order to help companies manage costs and productivity. To reduce fuel costs, Caterpillar dealers will be emphasizing cutting idle time, upgrading operator’s skills and using the right size equipment for the job. With over 100 machine models eligible for the service, Caterpillar is offering one of largest fuel guarantee programs ever. However, it is not the only heavy equipment manufacturer with this kind of program. Volvo is also offering a similar incentive for selected excavators, articulated haulers, and wheel loaders. Under the program, the Volvo CareTrack team measures fuel consumption using machine utilization report readings. The operating history is analyzed and if the actual fuel use exceeds the expected fuel consumption, information is sent to the local dealer and support staff to assist owners in possible areas of improvement, including operator counselling and training. The trend towards monitoring fuel consumption is another example of how OEMs are leveraging value-added services like telematics to differentiate themselves in the market. It also offers new revenue streams. While many heavy equipment manufacturers offer their telematics service for free initially, the service is typically available for a monthly fee. Tell us what you think: Have you tried programs like the fuel guarantee program? Do you think these programs are valuable?